This famous pilgrimage through Portugal to Spain is an incredible journey. It will give you on a spiritual experience like no other and your chance to see so much of this beautiful country. This is your guide to make this awe-inspiring walk from Lisbon to Santiago de Compostela. We’ll give you a day-by-day itinerary that you can follow with helpful tips along the way. What is the Portuguese Camino? The Portuguese Camino (“Camino Portugués”), also known as the Portuguese Way or Camino de Santiago, makes up part of a large Catholic pilgrimage network that stretches over Europe where all of the routes lead to the historical city of Santiago de Compostela in Galicia in Spain. According to some people, the Portuguese Camino is the second-most popular route amongst Catholic pilgrims in Europe and is also gradually gaining more popularity amongst hikers and bicycle enthusiasts though most people do this walk for religious reasons. What is the history of the Portuguese Camino? 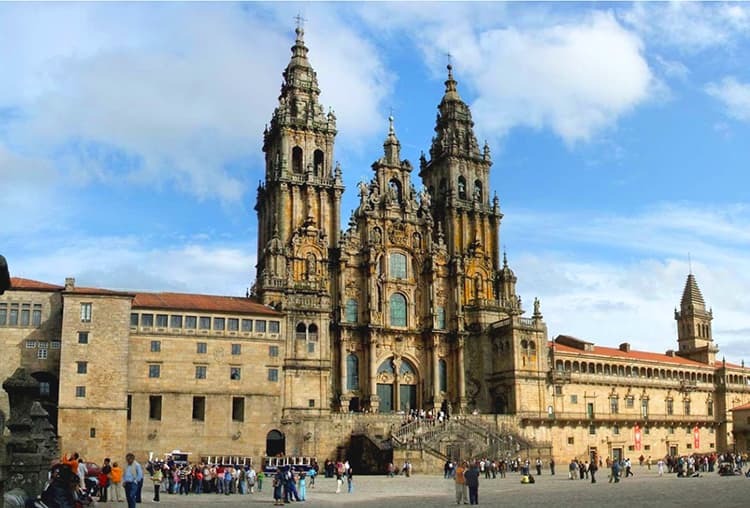 The end point is Santiago de Compostela in Spain which was built around the belief that the Santiago Cathedral holds the remains of Saint James, one of Jesus’ apostles that, according to belief, was the first apostle to have been killed for his faith in God. Legend has it that his body was then shipped to the Iberian Peninsula to be buried in what is now called, Santiago de Compostela. What route should I take for the Portuguese Camino? When talking about the Portuguese Camino, it is almost impossible to mention only one route since there are longer routes starting in Lisbon and shorter ones starting in Porto and they both have internal and coastal routes. These route options offer you a choice according to the distance that you are willing to walk and the scenery that you are most likely to enjoy. For this article, we are going to take the longest route from Lisbon. 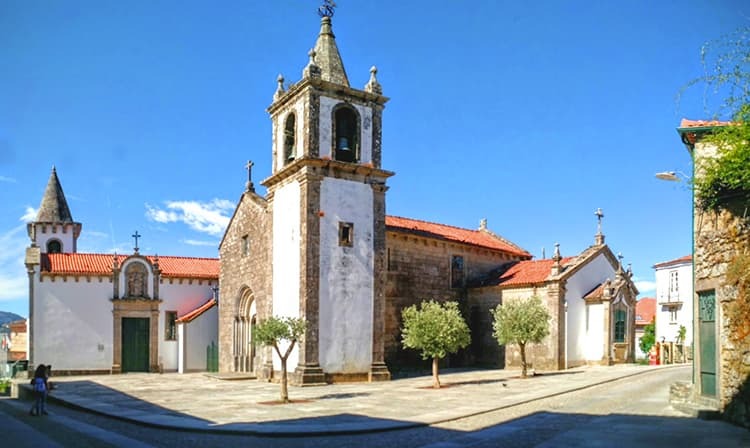 If you are a Catholic pilgrim or someone that would like to do the full pilgrimage walk from Lisbon to Santiago de Compostela but don’t really know where to start, you came to the right place. We are going to explain in detail the most established Portuguese Camino route day by day, which will take you 24 days in total. Throughout the journey, you will pass by around 93 different churches, chapels or cathedrals, and around 43 religious crosses. 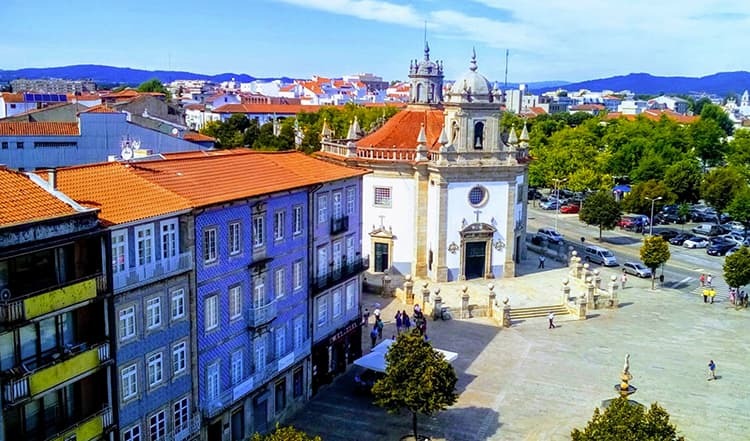 The Portuguese Camino that starts in Lisbon is an extremely long journey that stretches over 497 km (309 miles) to reach the border of Spain and then another 120 km (75 miles) to Santiago de Compostela. 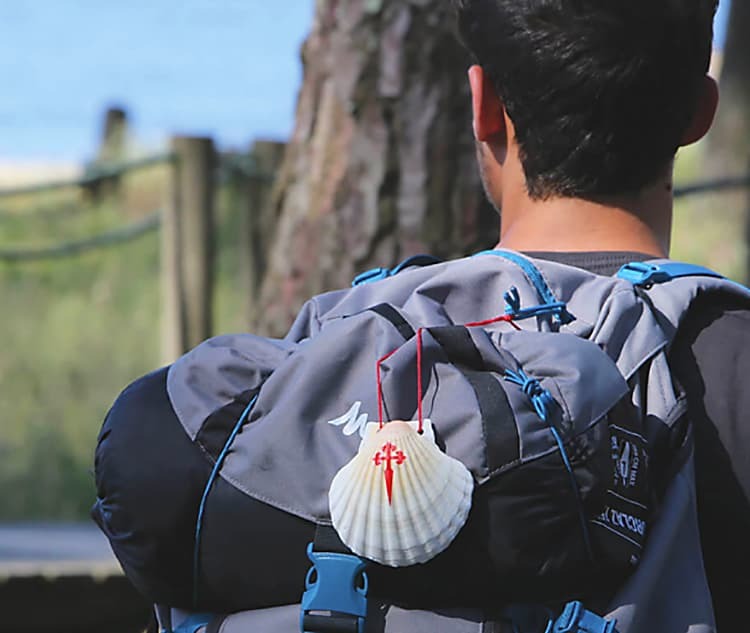 Traveling along the Portuguese Camino towards Santiago de Compostela, you will start seeing a scallop shell on some buildings and at certain points of the journey This is a symbol to indicate the route to Santiago de Compostela. It has been a symbol of the pilgrimage movement for many years. You’ll need to be physically prepared will be able to complete such a journey as it’s quite gruelling. Besides being such an extremely long walk, the facilities until Porto are quite scarce which makes the walk even more strenuous. So, make sure that before you start on this journey, you are physically prepared. Here, we have broken down the central Portuguese Camino into 24 days and none of them are longer than 37km (23 miles). Depending on the amount of money you are looking to spend during your 24-day walk and also if you want to stay overnight in a hotel or are just looking for a bed and a hot shower, accommodation can be found from €5 for a bed and a shower to around €70 per night for a more comfortable hotel. We have listed the most affordable and most used accommodation by pilgrims for each day, but if you want to search for more affordable options you can also go to Hostelworld. Here you will find comfortable accommodation from €10 up to €30 per night. 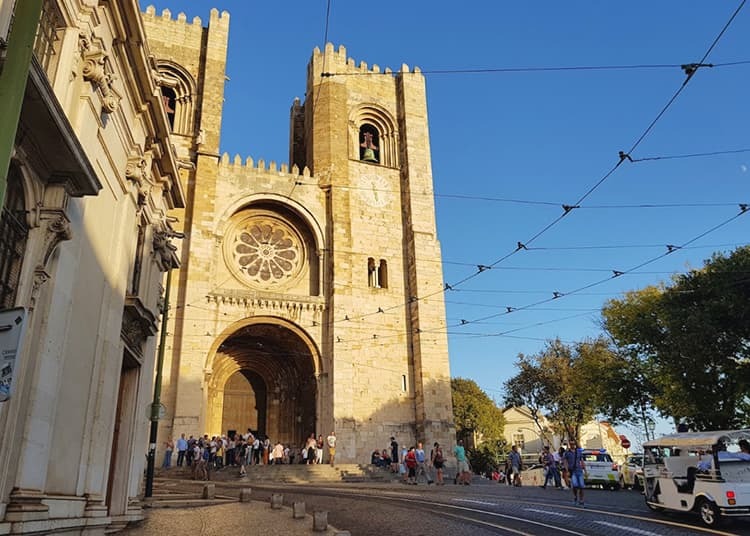 Below is the exact route that starts in Lisbon from the Lisbon Cathedral (“Sé de Lisboa”), located in Alfama and ends in Santiago de Compostela in Spain. Each number represents a town or locality where you can take a break and have a look at the church (“igreja”) or cathedral (Sé) in that town. The last town mentioned in each day is the place you can stay overnight. The Alhandra fire station welcomes pilgrims to stay overnight for a donation of €5 and up. Total distance: 35km (22 miles). Total walking time: 7 hours 30 minutes. Day 1 starts at the Lisbon Cathedral. The fire station at Azambuja welcomes pilgrims to stay overnight for a donation of €5 and up. Another option is Abrigo do Peregrino da Azambuja (website is in Portuguese) where you can sleep in a dorm room for €5. Total distance: 22km (14 miles). Total walking time: 4 hours 30 minutes. N1 Hostel Apartments and Suites for €15 with breakfast. Total distance: 34km (21 miles). Total walking time: 7 hours. Santarém Cathedral or Church of Our Lady of the Conception of the Jesuit College (“Igreja de Nossa Senhora da Conceição do Colégio dos Jesuítas”). O Té Alojamento e Dormidas has a dorm room for €10 with breakfast. Albergue das Ademas also has dorm rooms for €10 to €15. Total distance: 31km (19 miles). Total walking time: 6 hours 20 minutes. The fire station at Tomar welcomes pilgrims to stay overnight for a donation. Hostel 2300 Thomar has dorm rooms for €15 including breakfast. Total walking time: 6 hours 30 minutes. Albergaria Pinheiros has dorm rooms for €12. Total distance: 29km (18 miles). Total walking time: 6 hours 15 minutes. Capela de Nossa Senhora de Covões in Alvaiázere, Portugal. Albergue O Bonito has dorm rooms for €10. Pousada do Rabaçal has dorm rooms for €15. Total distance: 28km (17 miles). Total walking time: 6 hours. Albergue de Peregrinos Rainha Santa Isabel has dorm rooms for €8. Total distance: 17km (11 miles). Total walking time: 3 hours 30 minutes. Residencial Hilário has dorm rooms for €10. Total distance: 37km (23 miles). Total walking time: 8 hours. Albergue Peregrinos St Antonio de Águeda (website is in Portuguese) has dorm rooms for €12 and €17 including breakfast. Total distance: 27km (17 miles). Total walking time: 5 hours 45 minutes. Albergue de Peregrinos Rainha D Teresa has dorm rooms for €8. Total distance: 15km (9 miles). Total walking time: 3 hours 15 minutes. The fire station at Oliveira de Azeméis welcomes pilgrims and allows you to stay overnight for a donation. Total distance: 20km (12 miles). Total walking time: 4 hours 15 minutes. Albergue de Peregrino São Salvador de Grijó has dorm rooms for €7. Total distance: 30km (19 miles). Parish church of Grijó, Portugal. Hi Hostel Porto – Pousada de Juventude has dorm rooms for €13 to €15. Albergue do Peregrino Porto allows you to stay overnight for a donation. Total distance: 18km (11 miles). Total walking time: 4 hours. Find more hostel options in Porto here. Once you get to this point, you have completed in total 369km (229 miles) of the distance, passing more than 50 different churches, chapels or cathedrals and more than 28 religious crosses. From here onwards you can once again choose between the central Portuguese Camino or the coastal Portuguese Camino. First, we will continue with the original “central Portuguese Camino” until Santiago de Compostela and then we will have a look at the coastal route in case you prefer that one. Casa da Laura has dorm rooms for €12 including breakfast. Casa Familia Vidal Vilarinho has dorm rooms for €10. Total walking time: 5 hours 30 minutes. Albergue Cidade de Barcelos allows you to stay overnight for a donation. Barcelos Hostel & Guest House (website is in Portuguese) has dorm rooms for €10. Church of Senhor da Cruz in Barcelos, Portugal. Albergue de Peregrinos de Ponte de Lima has dorm rooms for €5. Pousada de Juventude de Ponte de Lima has dorm rooms for €12 including breakfast. Total distance: 33km (21 miles). Do you like the article so far? Subscribe to our newsletter, so you will always be up to date with stories from us. Albergue de Peregrinos de S. Pedro de Rubiães has dorm rooms for €5. Ninho Alojamento Rubiães has dorm rooms for €12 and €15 including breakfast. Total distance: 21km (13 miles). Total walking time: 4 hours 40 minutes. Albergue São Teotónio welcomes pilgrims to stay overnight for a donation of €5 and up. Total walking time: 3 hours 40 minutes. Igreja St Maria dos Anjos in Valença, Portugal. Congratulations! If you made it to here you have the longest part of the journey behind you. After this, you will cross into Spain and have to complete another four days of traveling. Albergue Casa da Torre has dorm rooms for €6. Albergue A Casa da Herba has dorm rooms for €12. Albergue Virgen Peregrina has dorm rooms for €6. Albergue de Peregrinos Posada de Doña Urraca has dorm rooms for €6. Albergue O Cruceiro (website is in Portuguese) has dorm rooms for €8 to €10. Total distance: 25km (16 miles). Total walking time: 5 hours 20 minutes. Albergue de Peregrinos de Padrón has dorm rooms for €6. Albergue Camiño do Sar (website is in Portuguese) has dorm rooms for €15 including breakfast. Albergue The Last Stamp Hostel has dorm rooms for €15 to €18. Albergue Acuario has dorm rooms for €10. Albergue Mundoalbergue has dorm rooms for €16. The Portuguese Camino ends at Santiago de Compostela in Spain. At this point, you will have officially completed your pilgrimage journey from Lisbon to Santiago de Compostela. 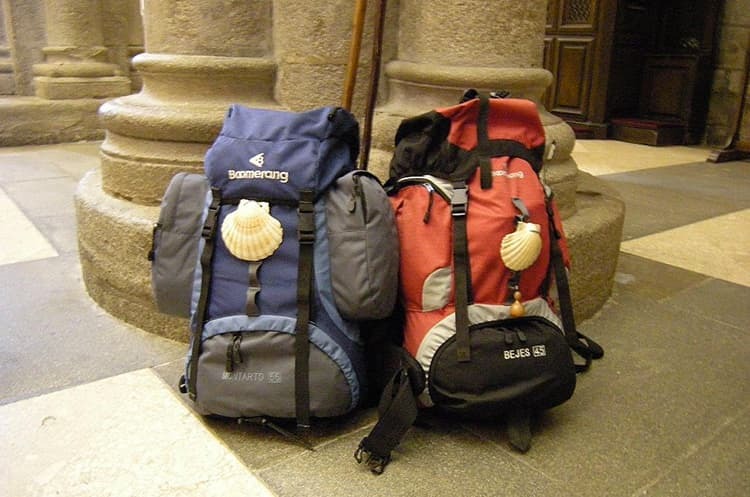 According to various testimonials, people say that the Portuguese Camino changes you. Do you agree? Most people start with a lot of things that are supposed to make the journey easier. For example, two pairs of shoes and a lot of extra clothes in case it gets too cold. As the days go on and the road gets tougher, you start to leave things behind to make the journey easier. 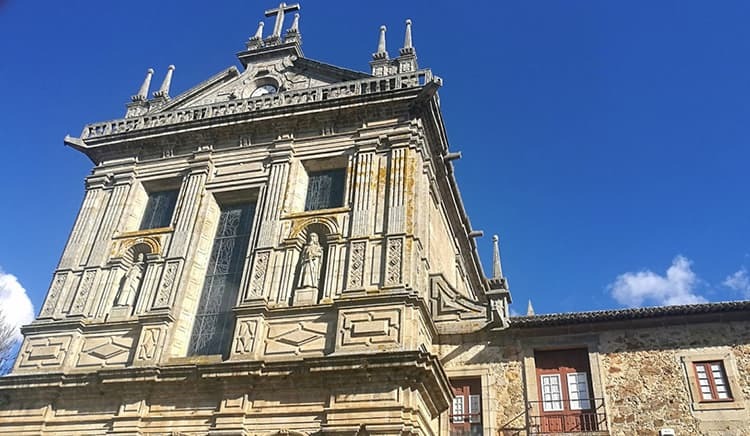 This route is well developed and has a lot of detailed information for travellers online at Caminhos de Santiago. It is approximately 150km (93 miles) and takes seven days to walk it. 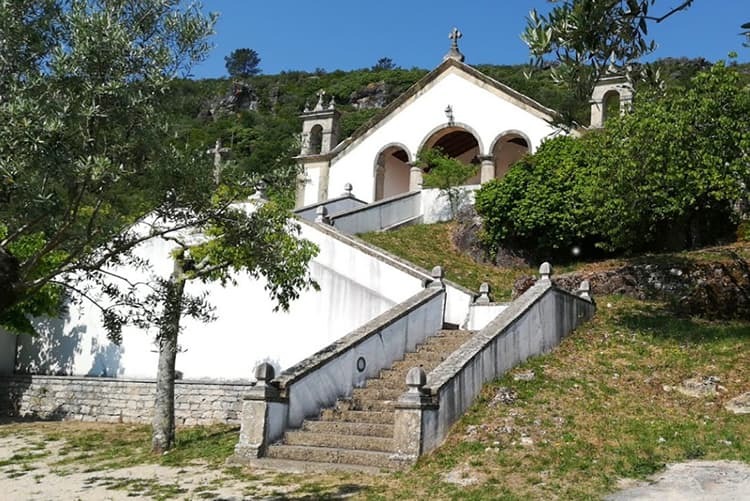 This coastal Portuguese Camino is a joint effort of the 10 municipalities that the route passes through, to promote the pilgrimage movement and also tourism for the area. By the end of your Portuguese Camino, you are left with the bare necessities and an overwhelming sense of completion, gratitude and, according to many testimonials, a whole new outlook on life. People that have done the Portuguese Camino say that this resembles more or less our lives that we are living. Us, as human beings, have a tendency to gather things and possessions that end up owning us instead of us owning them, and all of this is only for status and to keep up with the “I have better than you” mentality. The Portuguese Camino cleanses you from the need to satisfy other people and allows you to look outside of the bubble that you have been living in and enlighten you to what is really important in your life. Have you done the Portuguese Camino? We would love to hear what you thought of it. Let us know in the comments below. I’ve been working with blogs and content for several years now. As teste Digital Marketeer I felt the need to create something that connected technology with my roots, and now I humbly welcome all of you to my country and hope you enjoy it as much as I do.